Medical Security Card Co. Home - Medical Security Card Company, LLC. Savings cards and programs for consumers and businesses from a company you trust. For more than two decades, we've been closing the gaps in healthcare and prescription coverage with innovative prescription savings programs for the insured, uninsured, and under-insured. Cardholders save an average of 60%, and, in some cases, can be 80% or more on all prescriptions at more than 65,000 participating pharmacies nationwide. Savings average 60%, and, in some cases, can be 80% or more! - based on 2018 national program savings data. Rated one of "10 apps increasing health care access for low-income patients." 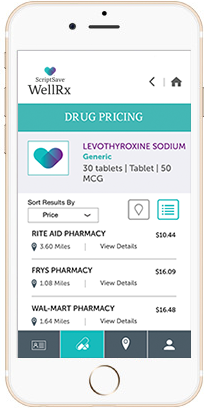 Pharmacies, employers, health plans, non-profits, and other organizations across the nation rely on our solutions to deliver instant prescription cost savings to members, build their brand, acquire customers, improve member satisfaction, and potentially generate revenue. Wonderful! I am so happy to hear that my son can use this card! He is a military veteran and he spends SO much out of pocket...this is going help him SO much. This is awesome! My wife and I appreciate this card so much. It will help us with our medicine that Medicare Part D does not cover. Thanks so much! I'm so happy to have this card. I was thrilled to save over 2/3 on the cost of my bio identical medications. It has been $34.00 and now it is only $9.00 with this card. The card has been a life saver for many seniors who chose to neglect health insurance to have food on the table. I am very, very pleased with my prescription savings card. I saved close to $50 on my 2 prescriptions. Thank you so much. MSC works with dynamic partners to create real change and deliver prescription savings solutions, useful tools, and decision support to advance medication adherence and better health outcomes. Our network includes 65,000 pharmacies nationwide. DISCOUNT ONLY - NOT INSURANCE. Discounts are available exclusively through participating pharmacies. The range of the discounts will vary depending on the type of provider and services rendered. This program does not make payments directly to providers. Members are required to pay for all health care services. You may cancel your registration at any time or file a complaint by contacting Customer Care. This program is administered by Medical Security Card Company, LLC of Tucson, AZ. Medical Security Card Company (MSC), LLC provides prescription savings solutions and decision support tools to help close the gaps in prescription coverage for the insured, uninsured, and under-insured and their families. Pharmacies, employers, health plans, non-profits and other organizations across the nation rely on our solutions to deliver instant prescription cost savings to members.